EXPORTS With the world growing ever so small in the modern time it is unimaginable for us not to be present in the world market. With the quality and services behind us it did not take us much time to establish ourselves in the international market, be it the price conscious market or the quality conscious market. 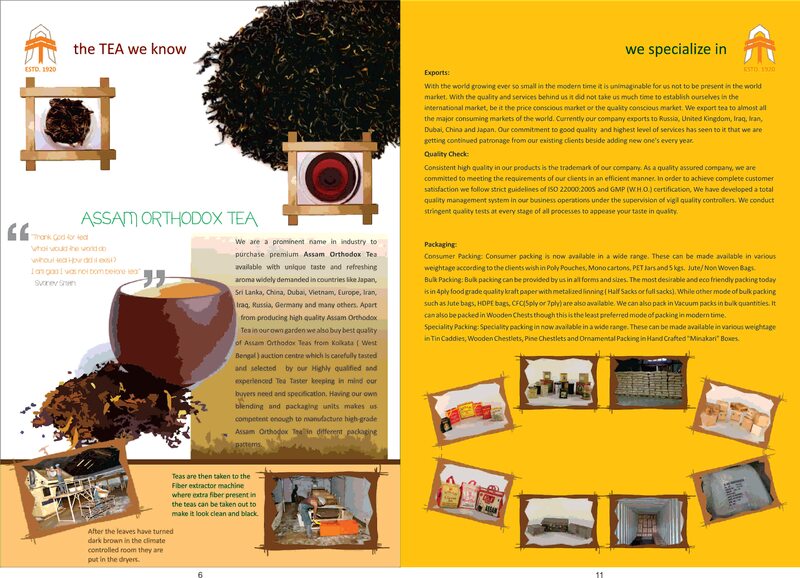 We export tea to almost all the major consuming markets of the world. Currently our company exports to Russia, United Kingdom, Iraq, Iran, Dubai, China and Japan, Germany. Our commitment to good quality and highest level of services has seen to it that we are getting continued patronage from our existing clients besides adding new one's every year. Quality Check: Consistent high quality in our products is the trademark of our company. As a quality assured company, we are committed to meeting the requirements of our clients in an efficient manner. In order to achieve complete customer satisfaction we follow strict guidelines of ISO 22000:2005 and GMP (W.H.O.) certification, We have developed a total quality management system in our business operations under the supervision of vigil quality controllers. We conduct stringent quality tests at every stage of all processes to appease your taste in quality. ASSAM CTC TEA Our company has become one of the preferred names in domestic as well as international markets to purchase premium Assam CTC Tea having natural aroma and color at market-leading price. Apart from manufacturing our own garden teas we also buy a lot of ASSAM CTC TEA from auction centres in Guwahati ( Assam) and Kolkata ( West Bengal) to meet our day to day requirement for blending and packaging of our different domestic brands as well as for our Export Market. We have special manufacturing units handled under strict supervision of team comprising highly qualified professionals along with highly qualified and experienced Tea Taster who follow standard manufacturing practices. Only 100% food grade poly is used in final packaging of tea which further helps to maintain freshness and aroma of packed Assam CTC Tea. We also pack according to our buyers specification without compromising on the quality front.